Written by Kristin Savage. She nourishes, sparks and empowers using the magic of a word. Along with pursuing her degree in Creative Writing, Kristin was gaining experience in the publishing industry, with expertise in marketing strategy for publishers and authors. Now she had found herself as a freelance writer. She observes with a special interest how the latest achievements in media and technology help to grow readership and revenue and shares her opinion. You can find her on Facebook. The internet community is huge and it’s only natural you want to reach the biggest audience with your marketing campaigns. The language of your advertising is extremely important. You might think that the right way to go is sticking to English. Hey, it is the international language of business communication and it’s widely spread to most parts of the world. However, there’s more to a successful marketing campaign. Marketing experts say: think globally, act locally. Statistics show that only 25% of internet users worldwide are English-speaking users. That leaves you with 75% of the internet community which doesn’t understand your website nor your ads. It’s almost like shutting your door to potential customers and choosing to please the minority. This is why you need to know how to localize your marketing campaigns to make them more successful. Even though only one- fourth of internet users speak English, English is still used by 53.4% of all the websites whose content language we know. How silly, right? The facts are alarming for all of you who only consider using English as the language of your marketing campaigns. If we’ve got the facts covered, let’s take a look at what are the steps you need to make in order to localize your business and make it more successful. Your first move is detecting the target audience of your newly planned, localized marketing campaign. This will help you an insight into your potential new markets and help you decide what to do next. Let’s say you analyze your traffic and find that 27% of your traffic comes from Germany and Austria. It’s a clear cut sign you need to address these users more directly and make sure you retain them. How? Localize to German. Based on your traffic, you can draw conclusions on the languages to choose. It’s best to start with only one language, especially if you’re launching your first localized campaign. You don’t want to rush into anything. Make sure to take one step at a time in order to test your new strategy and see if there are results. Start with a small detail, like running one ad in the new language. Analyze the results to make sure you’ve reached the target audience. If you’ve succeeded, then it’s time to take things further. You’ve got the results of the test drive, and now you’re buying the car. There are different forms of website translation. Take a look and think about what suits you best. 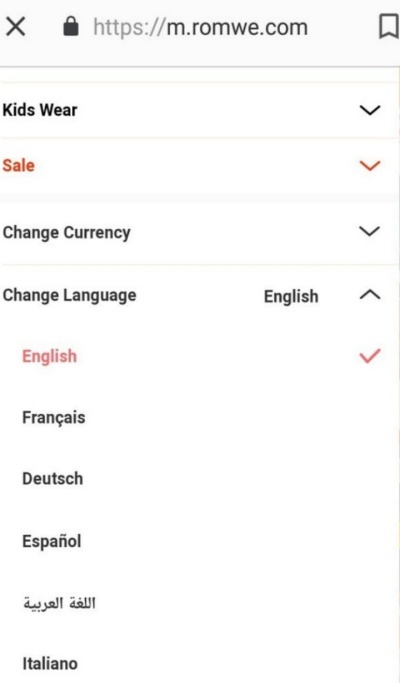 This implies you will simply allow your customers to choose a different language on your website, but the entire content will be the same for both languages. This step takes it a bit further. For example, here’s how it looks on Romwe.com. This makes the whole process easier for customers. They don’t have to convert themselves and you bring your offer closer to them. All they have to think about is whether they like your products and services or not. This step means going all in. Not only will you translate the content and convert everything to local units, but you are also making a change in your design, layout and visual elements to suit the culture you’re targeting. Take a look at what Coca-Cola does. 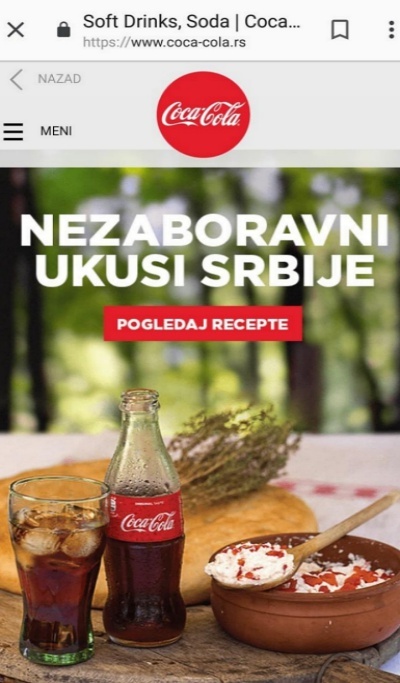 Coca-Cola Serbia is featuring Serbia’s traditional food with the motto: “Unforgettable tastes of Serbia”, along with traditional recipes for you to try out. They are portraying the drink as an integral part of the country’s cuisine. 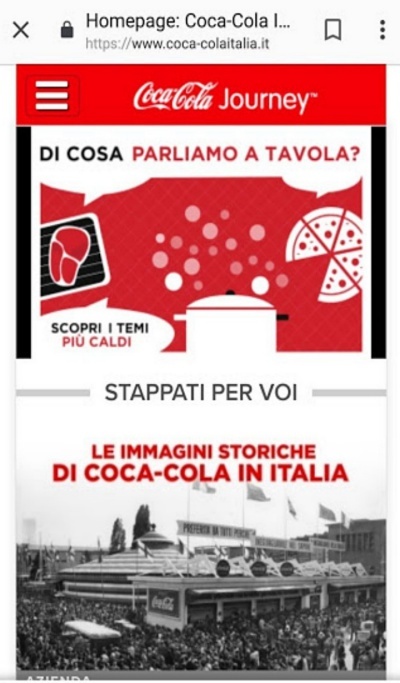 Coca-Cola Italy asks “What do we talk about at the table?” and shows the drink in the company of pizza and pasta. Connecting your brand to all of these will bring it closer to your customers, make them emotionally bonded to it which will consequentially increase your conversions. Translation is far from easy. It is a complex process and you’re not getting anywhere by using Google Translate. There are things such as idioms, local expressions and set phrases which can’t be translated word to word. Every language has something unique about it, and that uniqueness needs to visible in your campaign. This is why you should be careful when translating. A human translator is always better than the machine. If you’re not sure who to choose, take a look at Pick Writers, translation companies review website. Some languages take more space than others and you need to be aware of essential design adaptations. The more people understand what you offer and make a personal connection with your brand, the more publicity you gain. Localization of your marketing campaign implies so much more than pure translation. The main task is to capture the essence of the people you’re addressing and their culture. You’re aiming for their hearts and you’re striving for making a long-term impact on their customer experience. This is why you need to take localization seriously and make sure it well-planned out and well-performed. Take small steps toward building a local marketing strategy. Analyze, test and analyze some more. Make all the necessary changes and try adapting the content to the chosen language-speaking region as much as possible. Take care of details. Once you get a hold of the localization, you’ll see an increase in conversions, sales, and publicity.